Machu Picchu – this is it, Peru’s biggest and most incredible attraction. A lot of people travel to Peru to see this Incan wonder and pretty much no one leaves the country without making a visit. The closest major city to Machu Picchu is Cusco and it’s from there that most people travel to Machu Picchu. The fastest way to get to Cusco is to either fly directly there or to take a flight on LAN airlines from Lima. We took a bus to Cusco, but only because we stopped 5 or 6 times along the way – otherwise it’s about a 20 hour bus ride from Lima. We did fly back to Lima after we finished in Cusco. From Cusco, take the train or the bus to Aguas Calientes. Aguas Calientes is the closest town to Machu Picchu and a good home base for your visit. You definitely need to be in Aguas Calientes the night before you visit because the buses leave very early in the morning and you want to be sure to be on the first bus up or you could be stuck waiting around for hours. The train back to Cusco leaves in the early evening though, so most people will only spend the one night in Aguas Calientes. The most important thing to know about Machu Picchu is that you have to buy your tourist ticket in advance. You can’t just show up at the gate on the day of your visit and expect to be able to buy a ticket. There are only a certain number of people allowed on the site every day and in order to monitor this, all tickets are sold in advance. It’s easy to buy your ticket in Cusco though as there will be lots of tour operators selling them. If you’re doing a trek to Machu Picchu, you’ll have to book it 3-6 months in advance, but the trek will generally include your ticket to Machu Picchu. There is a student pass, but if you purchase it, make sure to have your student ID with you at the gate or you’ll be denied entrance. You also have to have your passport in order to be admitted on site. There’s two ways to get to Machu Picchu from Aguas Calientes, you can either get the bus or walk. Like I said, the buses leave very early (5:30am) in order to transport tourists to the top for opening time (6am). In order to make sure we were on the first bus, we had to line up at 4:45am. I would definitely recommend this as the queue gets pretty long, pretty fast, and you don’t want to waste several hours in line and miss the sun rising over the mountains. You can also hike the stone steps to the top, but give yourself at least an hour. Once you’re in, there’s a lot to explore! You can walk up to the guardhouse, which has a great panorama of Machu Picchu, or hike over to the Inca Bridge or up to the Sun Gate. 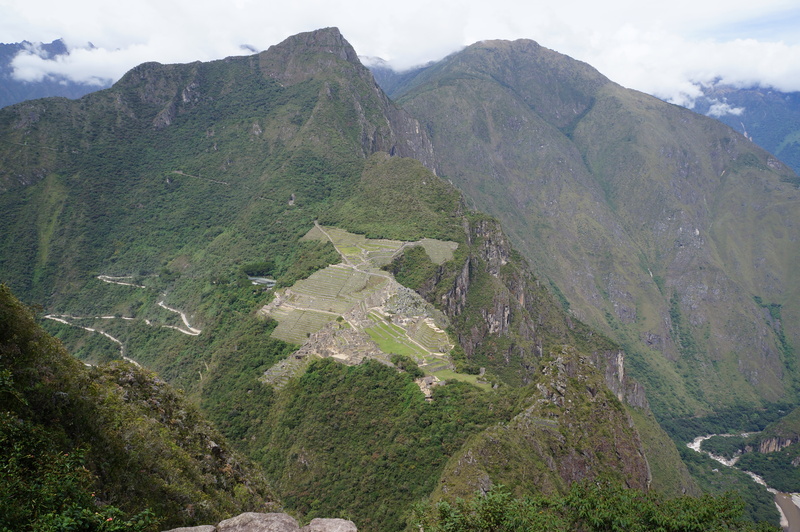 The only other thing you have to plan in advance is if you want to hike up Huayna Picchu Mountain. Huayna Picchu is the smaller mountain located behind the stone city. The hike to the top isn’t open every day and when it is, they’ll only let 300 people on the trail. So if you want to hike up Huayna Picchu (give yourself about 2 hours), buy your ticket in advance, it costs approximately $10. I did hike to the top of Huayna Picchu, but I found it very exhausting after doing a 4-day trek and I think I might have preferred to visit the Inca Bridge or the Sun Gate. I can deny though that there’s an incredible view of Machu Picchu from the top of Huayna Picchu, even if it gave me vertigo! 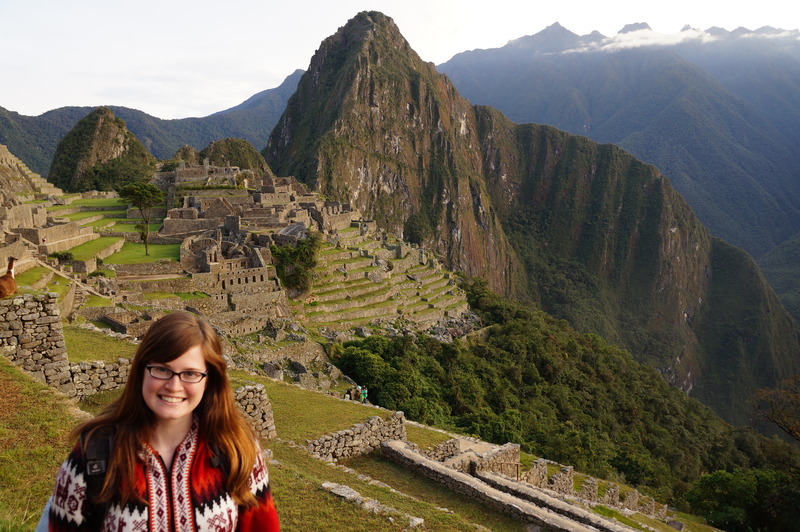 You might think Machu Picchu is overrated, but it really isn’t. 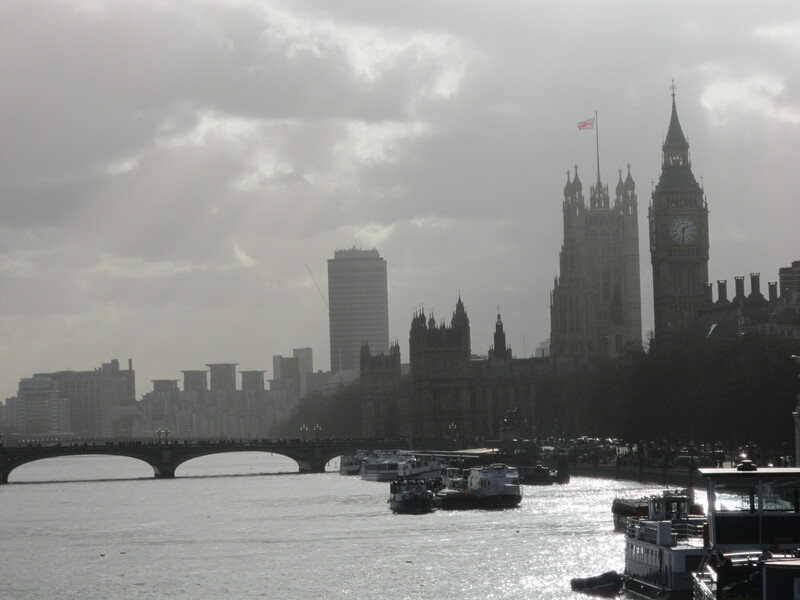 It was one of my favourite parts of the trip and the entire day I was just in awe of the city and how beautiful and ingenious it was. It really is the one part of Peru that is definitely a must-see! 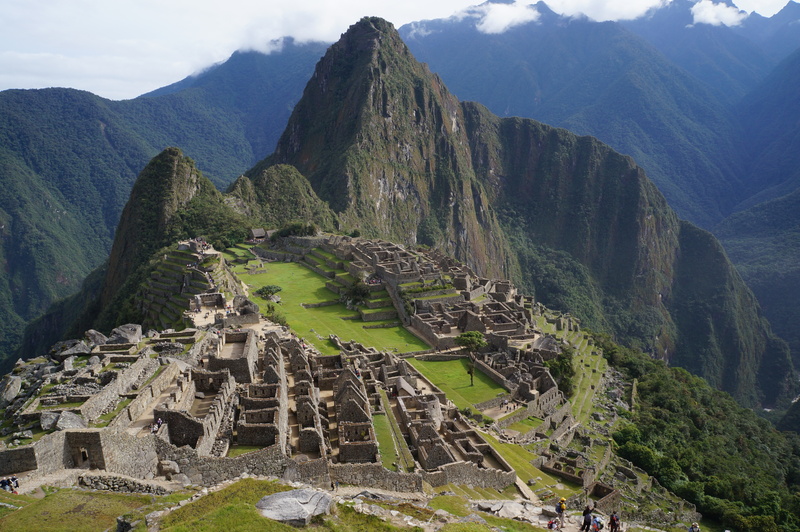 Read my blog about Machu Picchu here.